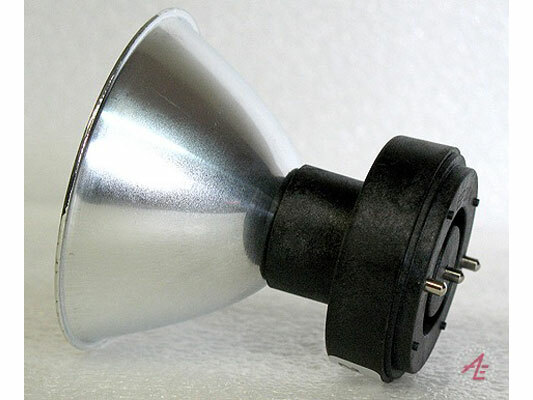 Replacement lamp module for AEX25 & AEX25-EP. Genuine Xenide AEX25 HID replacement lamp with built in reflector to assure proper alignment of the arc tube for maximum beam throw for your HID handheld searchlight. For best results leave lamp on for at least one minute after starting your HID flashlight. The high power and whiter color of this lamp make it ideal for identifying targets that are farther out than ordinary LED flashlights are capable of reaching. This lamp produces 1800 lumens and has a slight greenish tint to the color. 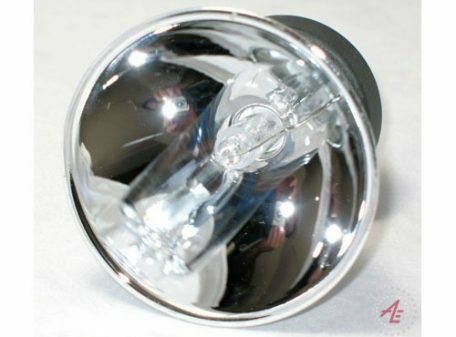 It is a direct replacement for the standard lamp for those wanting a little more brightness.